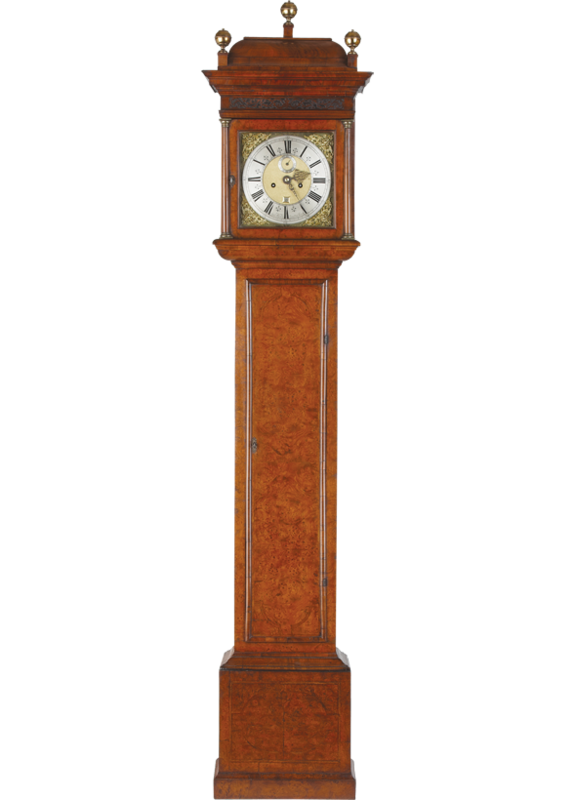 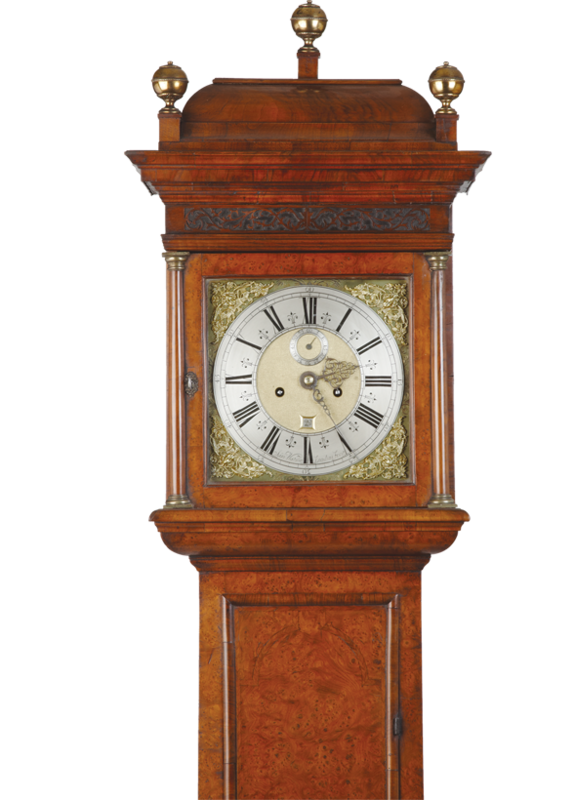 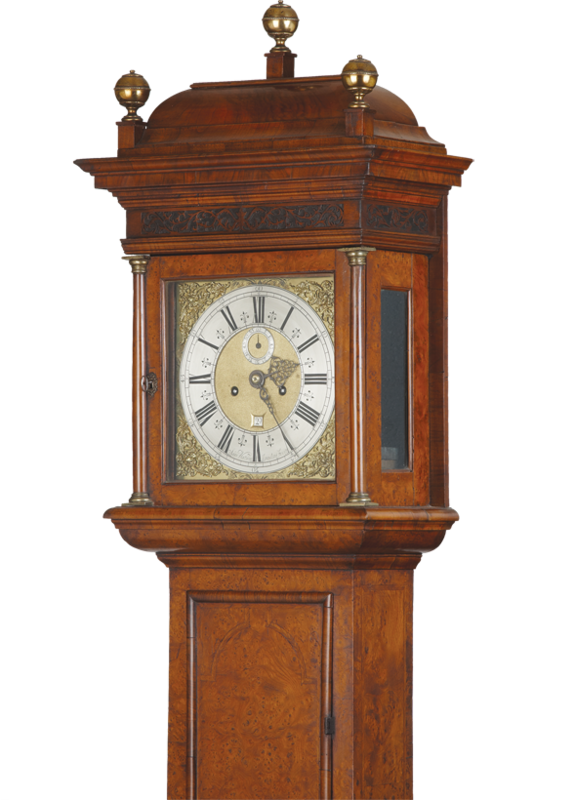 A rare late 17th century Burr elm longcase clock by this eminent maker who made a great clock for Charles II in 1680 know in Windsor Castle. 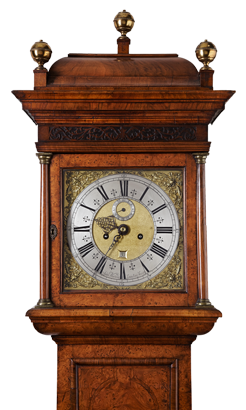 The fine burr elm case with with a caddy top and three original ball finials to the hood, long glazed side panels and turned pillars, the door and base inlaid with arched corners. 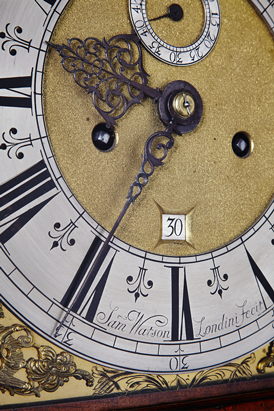 The 8 day movement with an 11 inch dial signed to the silvered chapter ring and with engraving betwen the gilt corner spandrels.